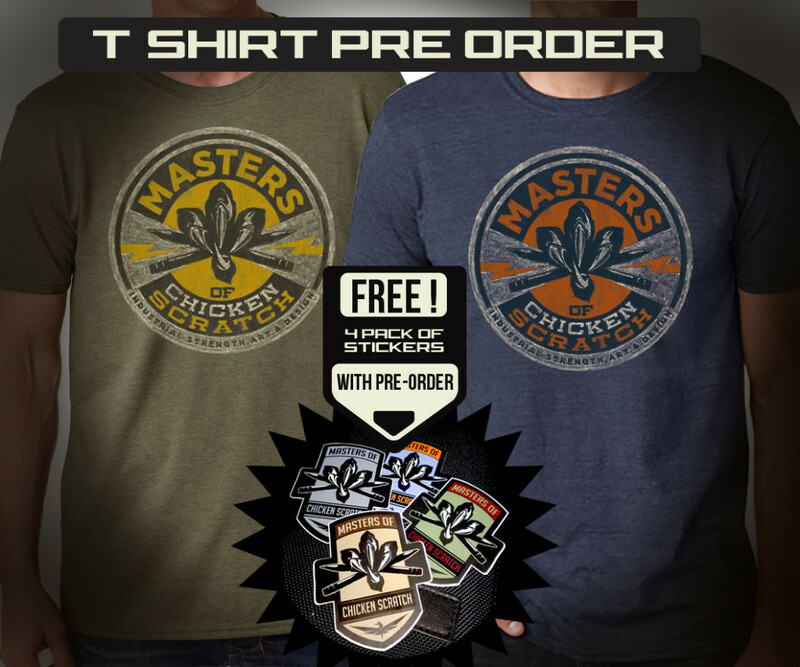 Masters of Chicken Scratch logo t-shirt Pre Order. This t-shirt is a Gildan 100% soft cotton shirt. They will be printed on Navy Heather and Military Green Heather color.